I was fortunate to submit the winning design proposal for the SCI-ARC annual design competition in 2007. The design implements a principal idea of fuildity called “Laminar Flow”. 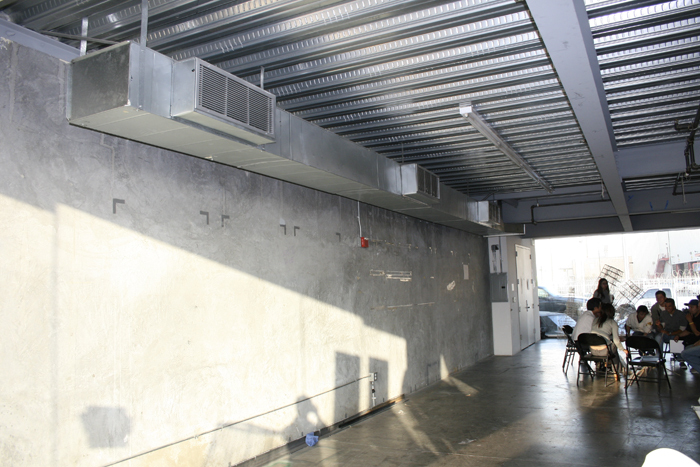 The Installation is located at one of SCI-ARC’s entries and has acted as the main entrance for lectures, events, and school exhibitions. Laminar Flow is described as the indexical resistance of flow as fluid moves through a “space”. In this case the fluid being people and the space being the entry. 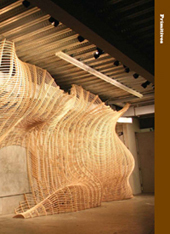 The design works as an experiential 3 dimensional graphic of people’s Laminar Flow through the entry. 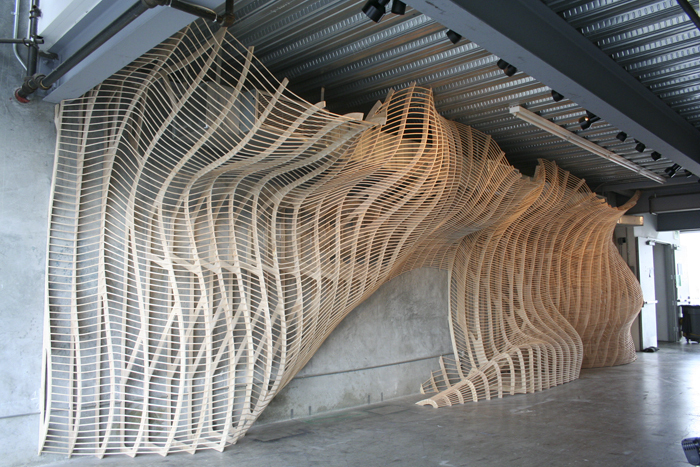 The success of this installation is credited to the Sci-arc 1A Design Studio Class and our Instructors, which include Andy Ku, Marcos Sanchez and Jenny Wu. My design proposal which was one of four final proposals was chosen by a unanimous jury vote. 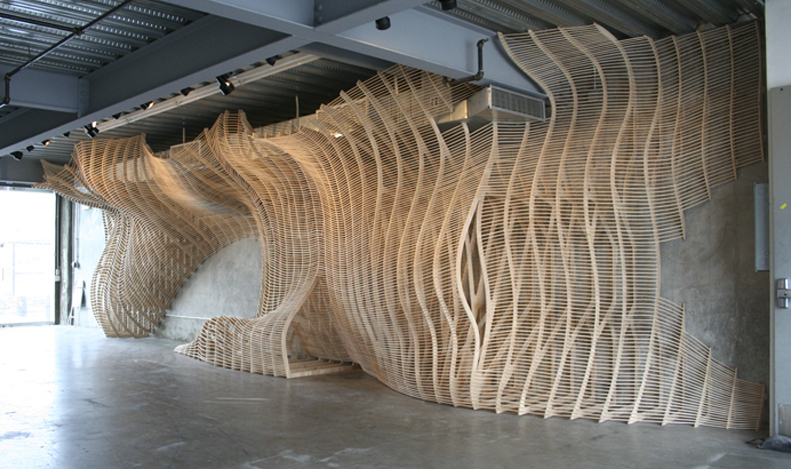 The development of the final installation was a collaborative process, which included a finalization of the form and skin design, development of the structural frame work, and the fabrication / procurement of materials. This process was documented in a publication “Primitives” by Sci-arc Press 2008.